Legendary Thompson River | KUMSHEEN | Raft. Relax. Recharge. Everything, from the clean facilities to the smile on the staff member faces, the friendly & professional service, fantastic meals, and then the “out of this world” rafting experience, was all first class and better. 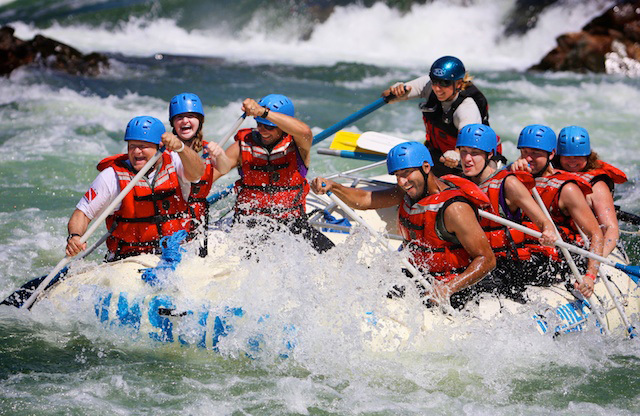 If you’re looking for BC’s most popular white water rafting trip, one that you can enjoy together with your entire group, then this is the one. This trip has it all: a white water cascade through 40 sets of rapids, a dazzling combination of beautiful, rugged, desert-like scenery, calm but fast flowing water, and of course our legendary rapids. Since our first scary rafting trip down the Thompson in 1973, we have run this river more times and with more people than everyone else combined. We’re very good at it. You’ll hear true stories and lies about the river. Our founder and owner Bernie Fandrich named most of the river’s rapids and wrote two guidebooks about the Thompson, and his family still runs the business. How good is that? 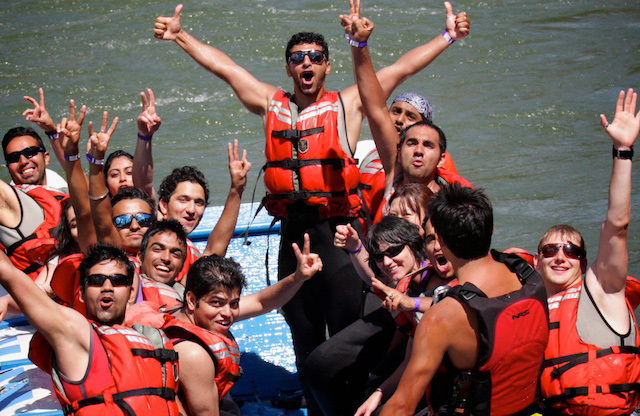 If you’re looking for a wonderful rafting trip that has it all, try this one.